China is rocked on a daily basis by hundreds of protests, many of them violent. The regime spends more on “stability maintenance”—the Armed Police and other forces used to crush protests—than it spends on its rapidly modernizing military. Within this country seething with conflict, one group stands out for not lashing out, not rioting, not turning to violence. 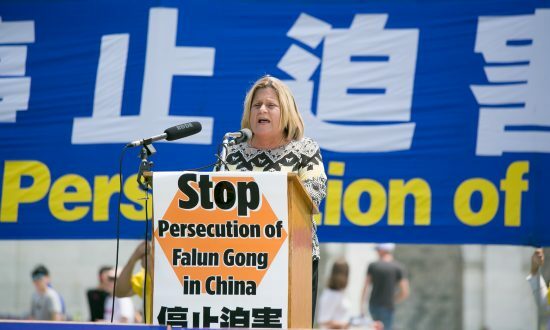 The tens of millions of Falun Dafa (widely known as Falun Gong) practitioners in China have never once been known to respond in kind to the violence meted out to them during the 14-year-long persecution they have endured. That persecution started on July 20, 1999, as behind the scenes, then-paramount leader Jiang Zemin gave orders to eradicate this spiritual discipline. The world’s press almost immediately reported with a knowing air about how violent qigong groups such as the White Lotus sect had torn China apart during the Boxer rebellion at the beginning of the 20th century. The Chinese Communist Party was acting out of self defense, the press implied. The press had been fed this propaganda line justifying the persecution and repeated it for the most part uncritically, usually without crediting the regime officials who pushed it. Media outlets often did not bother to point out how the peaceful meditators of Falun Dafa, many of them retired, didn’t match up with this fantasy of qigong warriors run amok. Over time, the press grew tired of repeating this particular canard, but its gullibility grew out of a real need to explain what seemed incomprehensible. At least the fantasy of the warrior Falun Dafa practitioners provided a reason why the CCP would suddenly go to war against its own people. This temptation to invent a cause for the persecution continues to this day. In talking with well-informed people, it is not unusual to hear the sentiment that the persecution had to happen because Falun Dafa practitioners “opposed” the government. In the days immediately after the persecution began, hundreds of thousands of practitioners flooded Beijing, but they did not come to oppose the CCP. The practitioners came to report to government officials how Falun Dafa had improved their health, raised the level of their morality, and brought calm and purpose into their lives and harmony to their families. They could see how good Falun Dafa was for society. They could only assume that the CCP leadership must have been misinformed about what Falun Dafa is and had simply made a terrible mistake. With such large numbers gathered in the city, the practitioners had every opportunity, if they had wished to do so, to riot in protest. Instead, they acted peacefully and rationally, submitting quietly to the police who rounded them up. The practitioners calmly put their lives on the line, risking arrest, brainwashing, and torture, in order to reach out to the members of the Party’s leadership and try to change their minds. They answered with kindness those leaders who sought to destroy them. After two years, practitioners stopped going to Tiananmen Square. Exposing themselves on a daily basis to arrest had seemingly done nothing to change the CCP’s resolve to persecute them. Instead, practitioners began reaching out to their relatives, neighbors, fellow students, and co-workers. Chinese society had been bombarded for two years with hate-filled propaganda. Falun Dafa practitioners set out to disabuse the Chinese people of the CCP’s lies. In doing so, practitioners once more risked everything. A conversation with a neighbor or co-worker might lead to the police picking the practitioner up. Arrest almost certainly meant beatings and likely more serious torture, either in jail or upon transfer to a brainwashing center or forced labor camp. Disability or death could be a moment away. Yet, practitioners began printing leaflets or booklets or CD disks for distribution. The materials tell what Falun Dafa is, debunk the regime’s propaganda, and describe the persecution practitioners are suffering. In 2004, the Epoch Times published a series of editorials called “Nine Commentaries on the Communist Party.” The series provides an uncensored history of the CCP’s crimes and describes the Party’s nature—what kind of thing it is and why it acts the way it does. The “Nine Commentaries” ends with these words: “Only without the Chinese Communist Party will there be a new China. “Only without the Chinese Communist Party does China have hope. Falun Dafa practitioners began spreading the “Nine Commentaries” in China and asking Chinese people to renounce any association with the CCP or its affiliated organizations. Statements of quitting the Party are allowed to be anonymous. The point of such a statement is not to publicly oppose the Party. Instead, an individual makes a peaceful statement of conscience. In disassociating themselves from the Party, the Chinese people recognize the enormous evil done by the CCP and separate themselves from that evil: According to some estimates, 80 million Chinese have died unnatural deaths while the CCP has been in power. The act of quitting deprives the Party of the moral authority to rule, one person at a time, while reawakening in the Chinese people the determination to live a moral life. To date, 140 million Chinese have renounced the Party. While the CCP never feared that Falun Dafa was the reincarnation of the Boxers, its top leader did fear the threat he believed Falun Dafa posed. 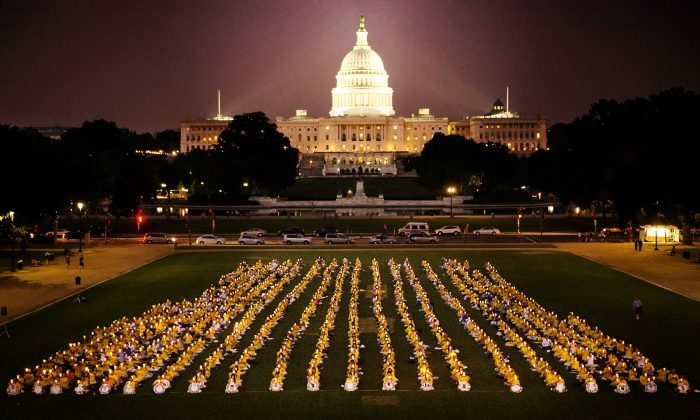 In a letter circulated to the top Party leadership on the night of April 25, 1999, Jiang Zemin described Falun Dafa as “a kind of national organization.” CCP officials estimated that 70 million people were practicing Falun Dafa at the time, while practitioners believe the number was 100 million. In any case, the CCP has never in its history allowed any group to exist independently of the Party. It is in the Party’s DNA to suppress anything it doesn’t control. On this ground alone, the persecution of Falun Dafa was inevitable, whether it began on July 20, 1999, or some other date. In Jiang’s view, another consideration made the need for persecution even more urgent. For Jiang, the Party was already engaged in an ideological battle with Falun Dafa. He feared the Chinese people, left to choose, would prefer the teachings of Falun Dafa to the Party’s materialism and atheism. The practitioners of Falun Dafa have moved from trying to change the hearts and minds of the CCP leadership to educating the Chinese people about Falun Dafa and the persecution and to seeking peacefully to dissolve the CCP. Within this change of tactics, there has been a uniform consistency on the part of practitioners. They have sought to live according to the principles of Falun Dafa—truthfulness, compassion, and tolerance or forbearance. Practitioners’ willingness to endure has made possible their patience, rationality, and kindness toward both CCP officials and the Chinese people. They have answered violence and hatred with exemplary forbearance.